Presenting a new storyline of the New York Times Best Selling, Harvey and multiple Eisner Award-winner series about cops, crooks, cooks, cannibals, and clairvoyants! While Tony Chu - the cibopathic federal agent with the ability to get psychic impressions from what he eats - clings to life in a hospital ICU, his twin sister Toni steps up to take center stage. Toni is cibovoyant, able to see the future of anything she eats, and, lately, she's seeing some pretty terrible things. 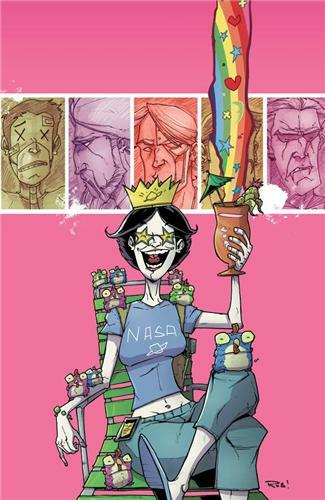 Collects CHEW 26-30, plus extras, as well as the blockbuster spin-off one-shot that stole America's heart, CHEW: SECRET AGENT POYO..